Special assistance will be offered to four groups of voters at the July 27th Primary Election, Texas County Election Board Secretary Kimberly Sloat said today. Physically disabled voters who cannot enter the polling place, physically disabled voters who need help marking their ballots inside the polling place, blind or visually disabled voters, and illiterate voters may be assisted by a person the voter chooses. In all cases, persons providing such assistance may not be the voter’s employer or an agent of the employer or an officer or agent of the voter’s union. Persons providing assistance also must swear or affirm that the voter’s ballots will be marked in accordance with the voter’s wishes. Sloat also said two other services are provided to voters at their polling places. 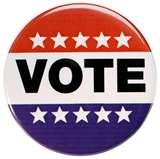 Voters who have moved since the last election, but who have not transferred their registration, may do so on election day by going to the polling place where their registration has been in the past. While voting, they may fill out a form instructing the County Election Board to transfer their registration to the new address before the next election. Also, the next of kin of voters who have died, but whose registrations still are in the book, can cancel those registrations by filling out a form at the polling place.